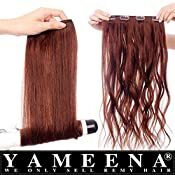 YAMEENA IS THE most professional sales brand of human hair,The only source of YAMEENA brand hair is originated from female ages 18-25 years old. 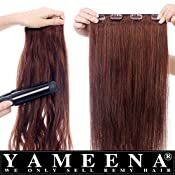 The hairs are cut from head to bottom to ensure unity of hair, which is the highest grade of human hair. No hot virgin hair dye damage, superior texture. Hot dye effect superior.We have been providing the most professional human hair product service for more than one hundred thousand people, 24 hours online customer service, solve your product consultation question in the shortest possible time. 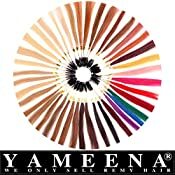 YAMEENA IS THE most professional sales brand of human hair, We have been providing the most professional human hair product service for more than one hundred thousand people, 24 hours online customer service, solve your product consultation question in the shortest possible time.